I…am like the crazy cat lady of alts. No, really. I have more than one account (oh, I’m not even going into how many accounts I DO have. Thank you, Christmas presents and f2p! ), and I fill those accounts UP with bit players and cosmetic models and beloved characters. But I use a lot of the same rp characters over and over as models, so I thought I might introduce a few of them in their everyday outfits. You’ll see these folks wandering around Landroval on a fairly frequent basis. HOLY COW the “insert more” tag does what I finally realized it must do! Apologies, friends, for slamming your subscriptions/readers with images; I will now move into 2012 and go with excerpts instead. I didn’t think my theme supported it! Certhwin is a one-eyed Rohirrim warrior, son of a smith, now attempting to battle a Dunlending incursion close to his adopted home. 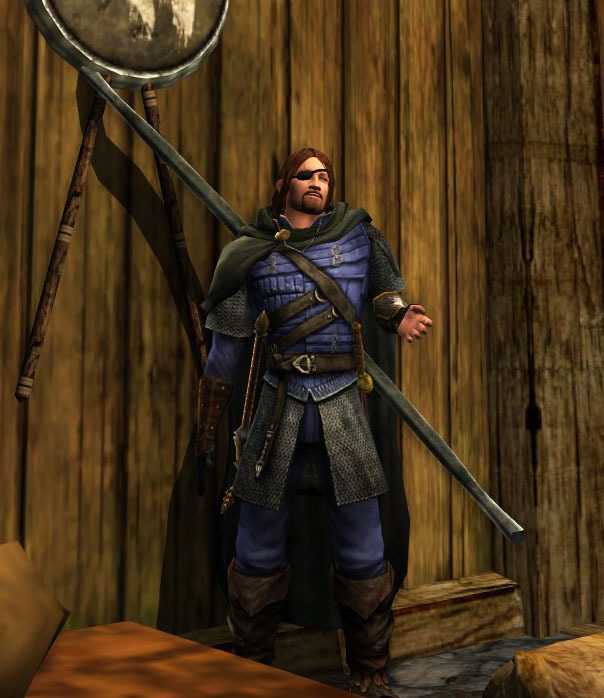 He likes horses, a fierce warrior woman who smirks at him a lot, mead, dragging said woman into dark corners, and bashing things with a hammer. He does not like his lady-love’s brother (yet). Or Dunlendings. Or having only one eye. Nidhil is a young Gondorian woman of wealth who followed a ridiculous fantasy to come to Bree-land, and then found something else entirely. 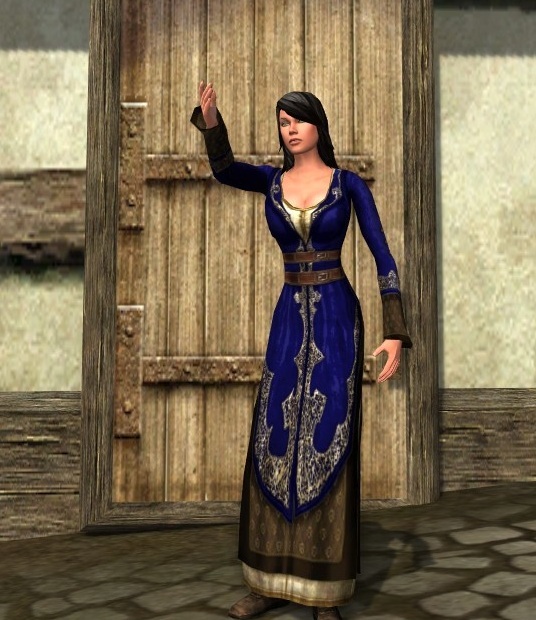 She likes sums, ledgers, keeping things organized, her fiancee, the dog he brought her (most of the time), fine clothes, perfume, and an endless supply of Ered Luin blue dye. She does not like uncertainty, mess, or thinking about Gondor too much. That time you dressed me as a female? Hooo, funny. 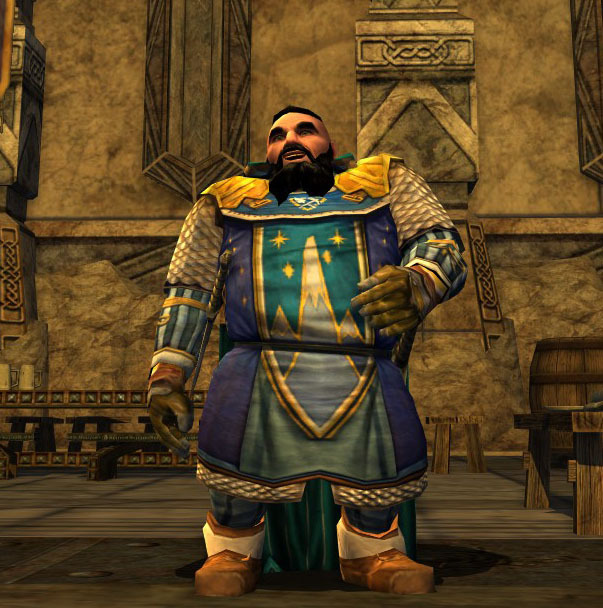 Gundri is a Dwarf of visual distinction, able to change hair color, beard, and scars at one brief trip to the barber’s. He likes when I dress him in boy clothes, when he gets to be in action shots, and when I tend him toward spiky facial hair. He is very very tired of being level 8. Greetings from Mirkwood! Now go away. 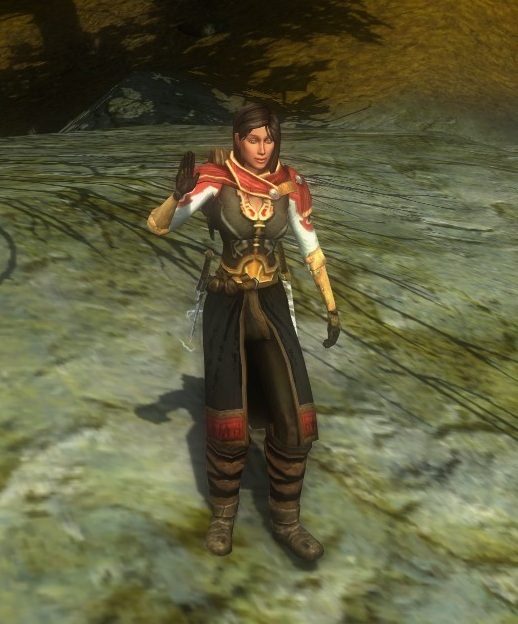 Gisala is a member of an adventuring company. She’s brusque, snappish, occasionally funny, and mad in love with her husband. She spent a few years dressing as a boy to avoid her Tragic Past. I went all-out with her. She likes nature, pickled eggs, smoked fish, boats, water, lucid dreaming, children, and healing. She doesn’t like dudes very much. He says this isn’t a bad wink, it’s just a bug in his eye. Alerac is a stonemason from Scary who likes his mates, his family, his well-laden breakfast table, and the simple joy of shaping stone to meet his will. He likes dawn best. He’s fond of savory dishes but not sweet, he has no idea how to talk to girls, and he doesn’t like adventure tales all that much. 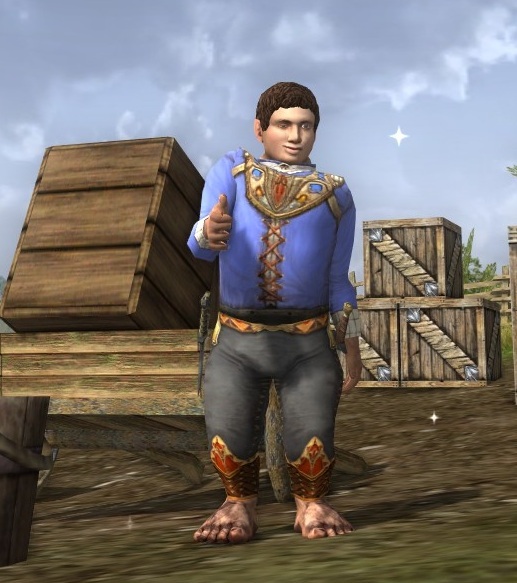 He is a well-rooted Hobbit. He wishes I’d stop putting him in funny hats. Even if they’re funny. ❤ I love them all.